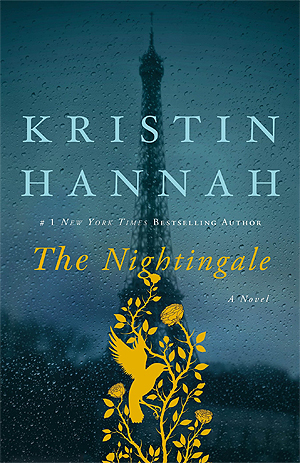 The Nightingale seemed to be a departure from Kristin Hannah’s usual style, but it has been a runaway hit for her, which has been so great to see. I have known of her other books and have marked down a few to read, but this was my first time reading any of her novels. I did purchase the book when it was first available, but once I saw that it was nominated for an Audie Award, I tracked it down in that format so I could listen to it instead. The Nightingale is the story of two sisters during the Nazi occupation of France. Vianne is married and has a daughter and Isabelle is her much younger sister with a fierce rebellious streak. They couldn’t be anymore opposite. Vianne’s husband is sent off to war and she is determined (perhaps too content) to keep the home fires burning waiting for his return and is of the belief that they must do exactly as they are told, in order to endure and wait for the war’s end, even when a Nazi solider billets in her home. 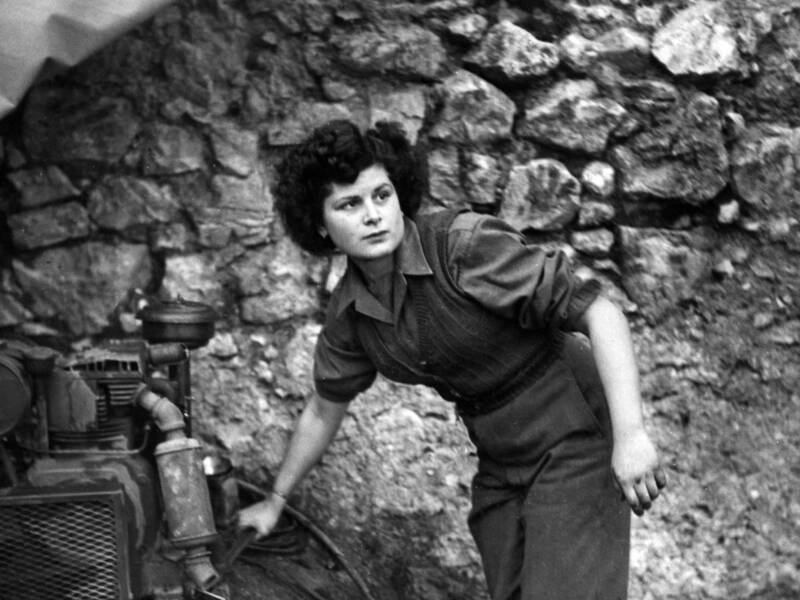 Isabelle is enraged and is determined to join the French Resistance to do everything to fight and not comply with this falling of France to the Germans. What unfolds for both Vianne and Isabelle becomes a thrilling and intensely dangerous adventure, and sheds light on a topic not often noted: the role of women in the war, and their role in saving children, neighbours, operating in dangerous espionage activities, etc. I rode a roller coaster of emotions from the start with The Nightingale, and while Polly Stone’s narrative voice is truly lovely, after a while, those French accents were becoming overdone and almost comical in nature. I was also half-way through and a little bored with the story because of its slower pace up to that point and was becoming frustrated with the narration. It was also a very similar story which were all too familiar to me. So, I decided to take the book down from my shelf and switch to reading it that way. Once I made this switch, the pace picked up considerably and so did my enjoyment. Once beyond this halfway mark just being able to sit and read from the book, it became a story I did not want to put down. It was one I could not put down! The ending is a tissue-requiring one and a wonderful end to what truly evolved into a wonderful story. The Nightingale turned into a fine 4.5 star read for me! So, Stella Bain. This was a novel that was always on my radar as soon as it was released. 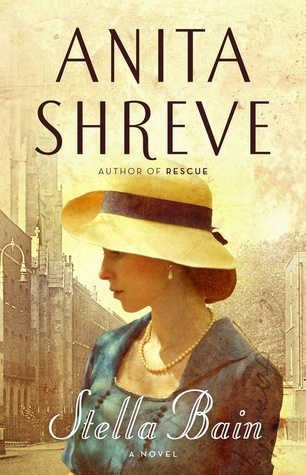 I’ve enjoyed the two other Anita Shreve novels I’ve read and went into Stella Bain with the same anticipation and hope for an enjoyable story. Yet, overall, this was a bit of an odd read for me. While I do see what Shreve was writing about here, as it also touches upon that quote used above from The Nightingale, I was left feeling that this was more like different but loosely strung stories. (It’s intention to understand this plight, I suppose, of women in war and its relevance to that quote taken from The Nightingale, is why I’m combing these novels into one post. ) There were moments in Stella Bain when the story was also quite “flat” in its tone, if that aptly conveys what I’m trying to describe about the story. However, the narration by Hope Davis was indeed very good and this was a delight to listen to in audio for its entirety. Stella Bain is about a woman that awakes in a makeshift hospital in France. Her memory is lost, and she has severe injuries to her feet and head. She is oddly wearing a British uniform, and yet, her accent is clearly American. She can only say with conviction that her name is Stella Bain. After recovering and staying on to volunteer in the hospital, she also discovers she is quite gifted in drawing. She assists as both nursing aide and ambulance driver. Yet, there is an overwhelming need she feels to travel to the Admiralty in London, where she has a strong sense that her memory will then return. Once she gets to London, she is taken in by a doctor and his wife and it is the doctor that begins to conduct talk therapy and delves into the meanings behind her drawings. It becomes clear that Stella Bain is suffering from shell shock. (In this part of the story, there are moments where that quote above from The Nightingale re-enters my mind – Stella Bain’s contributions during the war and indeed all the women that contributed in this manner to the war – as nurses, nurses aides, ambulance drivers, etc. are not readily acknowledged. The horrific scenes and condition of the soldiers’ bodies and faces, etc. they treated must have caused considerable shock and distress to these women, yet there never is mention of post-war medical treatment for any psychological trauma they clearly experienced.) When Stella goes to the Admiralty, a soldier recognizes her and uses her true name. At once, her memory returns and she realizes she is Etna Bliss and has children at home in America. The story returns to America where Etna is reunited with her children and her reasons for volunteering in the war are revealed. Etna has a fight ahead of her with her husband in order to gain custody of her children and here again, the dismissal of women’s experiences in the war effort are drawn. So while I understood this underlying and subtle message about women during the war, the overall feeling I could not shake was of its oddness and an overwhelming feeling it was more like loosely connected stories. I’m sure I enjoyed it more so in audio over reading it since Hope Davis did give a solidly enjoyable listening experience. 3 stars for me.